* Please Note: This item requires a Barrier screen (CUI-BFFB28SBL). 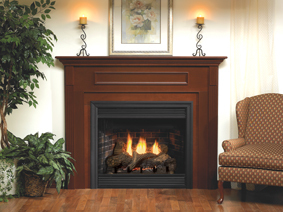 Are you looking to switch your wood-burning fireplace to a natural gas fueled fireplace? 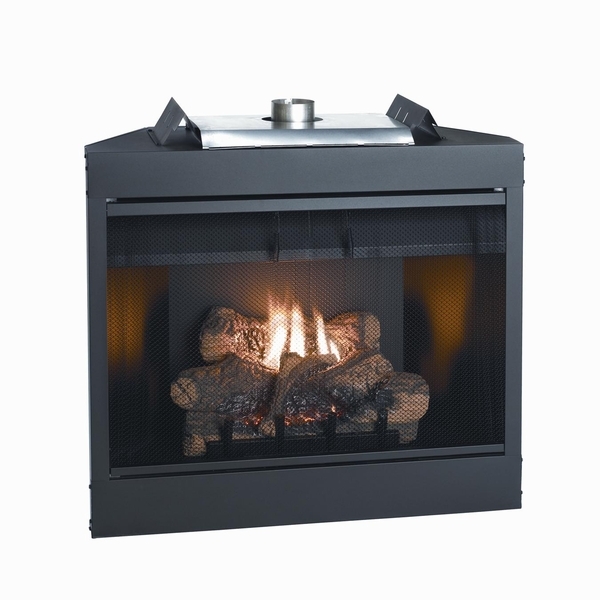 The Empire BVD36FP30FN Keystone Deluxe B-Vent Fireplace may be just the one you need. This beautifully modern fireplace is fueled by natural gas, and it features a sleek black exterior that will compliment any living area decor. Even though it's a gas-burning fireplace, the appearance and performance are that of a conventional fireplace. The glowing embers and dancing flames exude the same warmth and comfort as that of a wood-burning fire. So when it's time to convert your fireplace, check out this Keystone Deluxe B-Vent Fireplace created by Empire.